"For a Single Unit or an Entire Office Building"
A cooling system failure at your place of business can be a real emergency, potentially threatening your productivity, equipment, product safety and much more. But with repair service from Ronnie Jones AC and Heating you don’t have worry about down time. We offer expert commercial air conditioning repair and maintenance services designed to ensure the reliable, efficient operation of your cooling equipment while protecting your investment. 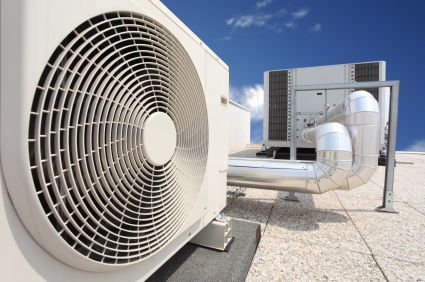 Whether you need air conditioning repair work for a single unit or an entire office building, our highly trained and experienced contractors are here to provide the efficient, high-quality service you can depend on. Ronnie Jones AC and Heating does air conditioning retrofit and installations for customers in the greater Temecula area, and all of Riverside County, California. We have a commitment to excellence. When you hire Ronnie Jones AC and Heating, you can expect nothing less than the highest quality workmanship. We work hard to exceed your expectations, because we understand that our customers’ satisfaction is critical to our success. Keep your employees and customers cool and comfortable with commercial air conditioning repair service from Ronnie Jones AC and Heating.